Gerrit Verschuur, radio astronomer and popularizer of astronomy. 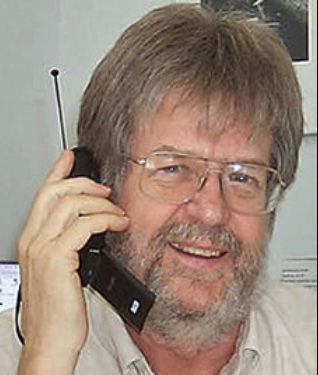 Past director of the Fiske Planetarium, U. of Colorado, Boulder, CO.
Radio astronomy is a crucial tool for mapping cosmic circuitry in an Electric Universe. Gerrit L. Verschuur, Interstellar Matters. 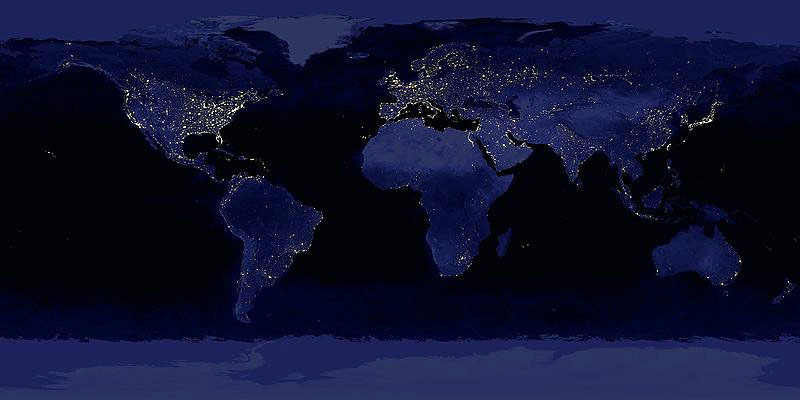 Composite image of the Earth at night. _ Survey of the nearby universe maps the distribution of about 75,000 galaxies (small blue dots). The placement of each galaxy in the radial direction is proportional to its distance from the Earth (which is located at the intersection of the two wedges), and its angular position (or right ascension in hours of arc) corresponds to its location along a thin strip in the sky. The galaxies clearly trace a network of filamentary structures. Image courtesy of the 2dF Galaxy Redshift Survey team. Playing with a magnet and a plasma discharge tube, the "Aurora Borealis Tube Display"
_Plasma ball and planetary nebula NGC 6751.
Credit for NGC 6751, NASA and STScI/AURA. Much earlier, Georg Christoph Lichtenberg (1742-1799) was even more prescient, “a man cannot strongly enough ask of Heaven: if it wants to let him discover something, may it be something that makes a bang. It will resound into eternity.” For the sake of science I hope not. The big bang was not “discovered” but contrived by mathematicians following the proposal of a Belgian Roman Catholic priest and astronomer, George Lemaitre, for the origin of the universe from a “primeval atom” or “Cosmic Egg exploding at the moment of the creation.” The theory defies physics principles and is unrealistic, needing most of the matter in the universe to be invisible (not even dark) and a mysterious ‘dark’ energy. Even galaxies must have mathematical figments (black holes) at their hearts to explain just a few of their characteristics. Hoyle believed one single, usually simple, observation could unseat a strongly established prejudice like the big bang. But when you believe in theories like the big bang, logic has no dominion and any observation can be accommodated. The Electric Universe is developed upon plasma cosmology, which is a recognized discipline within the practical electrical engineering profession through the Institute for Electrical and Electronic Engineers (IEEE). Refereed papers on plasma cosmology are published in the IEEE Transactions on Plasma Science. The freewheeling discussion in that journal is reminiscent of the science journals of more than a century ago, not the monoculture of the big bang today. My paper on the electrical nature of supernovae and stars was published there in 2007. [It is curious that astronomers plot stellar colors and brightness (the Hezsprung-Russell diagram) like “Alice through the Looking Glass.” Left and right are reversed, which makes it difficult to see the obvious connection between the electrical power arriving at a star and the star’s color, size and brightness]. Unlike big bang cosmology, plasma cosmology is subject to experimental tests in the laboratory and follows the Lichtenberg experimental tradition. Any ‘bangs’ it creates are real and noisy. Plasma cosmology can demonstrate with simple physical principles the electrical formation and behavior of spiral galaxies and stars without recourse to hypothetical dark matter and black holes. Almost the entire visible universe is composed of plasma—a gas where some of the atoms have lost an electron or two. However, unlike the gases we are familiar with on Earth, plasma reacts strongly to the presence of electromagnetic fields and is a better conductor than copper. Its behavior has been described as complex and “life-like.” That should be a clue! The universe is principally an electrical plasma phenomenon. Electricity exists in space. Magnetic fields detected in space can only be generated by electric currents. Radio telescopes routinely map galactic magnetic fields and their field configuration matches that found in plasma cosmology experiments. If science were the advertised open pursuit of truth, we should expect big bang cosmologists to be rushing to the plasma labs. Not a bit of it. They are principally theoretical mathematicians. We strike the artificial modern barrier of specialism. The cultural historian, Jaques Barzun, defined specialism as “a piece of etiquette which decrees that no specialist shall bother with the concerns of another, lest he be thought intruding and be shown up as ignorant. Specialism is born of what the philosopher Arthur Balfour called ‘the pernicious doctrine that superficial knowledge is worse than no knowledge at all.’ Rampant specialism, an arbitrary and purely social evil, is not recognized for the crabbed guild spirit that it is, and few are bold enough to say that carving out a small domain and exhausting its soil affords as much chance for protected irresponsibility as for scientific thoroughness.” —Science: the glorious entertainment. Engineers are neither stupid nor incompetent. Much of the hyped success of science over the last century can be attributed to engineers. And it is engineers who tend to prefer the real-world simplicity of the Electric Universe to the metaphysics of the big bang and black holes. “I think the Electric Universe is actually very simple. In essence, everything hinges on the question of whether or not electricity exists in space. The mainstream view is that it does not; we argue that it does. Everything else flows from that. What we are attempting to do is bring about a scientific revolution; The Electric Revolution. This Revolution will have as far-reaching consequences as the Copernican revolution, which was also based on one simple idea, is the Earth or the Sun at the centre? Like the Copernican revolution, the data can be interpreted in both ways; Copernicus did not phrase his argument that the Sun was at the centre; he merely suggested that it was an awful lot easier to interpret the data if, for the sake of calculation alone, one pretended that it was. In the same way, I believe we are essentially suggesting that it's an awful lot easier to explain the observed behaviour of the universe if one allows electricity to have a role. Yes, you can develop a gravity-only model that gives the right answers, but having to live with 96% of the resulting universe being dark and unobservable is no better than having to have multiple levels of epicycles to explain the planetary motions around the earth. History will show that our present big bang cosmology is an unfortunate accident of timing. The foundations of the big bang story were being laid down early in the 20th century. At the same time, electric lights were just being introduced and the study of electric discharges in gases was in its infancy. The result was that Einstein’s new, esoteric geometric theory of gravity that treats empty space as an ‘object’ capable of being warped, was combined with a curious interpretation of the redshift from faint extragalactic objects (that was not favored by Hubble himself as being physically likely) to produce the notion of an expanding universe. The fact that this defied a principle of physics in creating matter from nothing at the beginning, or big bang, seems not to have concerned theorists. It should have. Invoking “the ultimate free lunch” is not science. On the other hand, based on observation the Electric Universe assumes a universe of unknown age and extent. The intellectual hubris of big bang theorists is shocking when we find that science cannot explain the simplest phenomena associated with matter. Mass, gravity, magnetism, and light are a mystery. We have equations that describe what happens when a charged particle is accelerated; you drop something from a height; a current passes down a wire; and light strikes a surface. 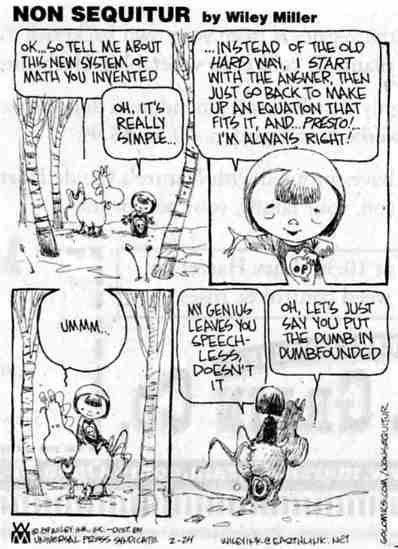 But mathematical descriptions do not constitute a physical explanation. Meanwhile, the last century has seen great progress in understanding the phenomena of electricity in vacuum tubes, arc lamps, arc welders, industrial electric discharge machining and ultra high-energy experiments at Los Alamos National Laboratories and Sandia Laboratories. Electrical engineers were the first to see striking parallels with astronomical phenomena, beginning with the Earth’s aurorae. Engineers find it easy to light our cities with electrical power generated at some distance from the city. It never occurs to astronomers that Nature uses the same simple method of lighting galaxies. They have never considered that stars might be a cosmic electrical phenomenon, like streetlights tracing the path of power lines. It was Dr. Charles Bruce, a fellow of the Institute of Electrical Engineers as well as of the Royal Astronomical Society, whose work on lightning allowed him to identify electrical activity on the Sun, on stars and in galaxies. The Nobel Prize winning Hannes Alfvén was trained as an electrical engineer but went on to produce much of the theoretical underpinning of electrical behavior in the Electric Universe. An article about his work with the title “Alfvén’s Electric Universe” appeared in the Boston Globe on Monday, March 20, 1989. Alfvén insisted that it was of prime importance to understand cosmic circuitry. But astronomers ignored him. It is a state where neutral atoms are mixed with charged particles, positive and negative. These particles may be as small as electrons and protons or may range up to the size of molecules and dust particles. In a gaseous plasma, like we find throughout the universe, the charged particles respond more strongly to electromagnetic forces than they do to mechanical or gravitational forces. One of the results we see in lightning is the constriction of electric currents to form long filaments. And the filamentary nature of plasma in space is well documented. No dark matter, sprinkled where required to save a theory, is necessary. The Electric Universe assumes that Nature is not wilfully hiding her secrets. The complexity we observe in the universe comes from very simple electrical principles, some of which can be tested with very simple apparatus. Science is open to everyone. The visible universe is an electrical phenomenon, from the structure of subatomic particles to the superclusters of galaxies in deep space. The Electric Universe model is simple enough that it can be taught to young children, but it first requires that cosmology is actually included in the science curriculum and then treated with a reasonable level of importance (the subject of a forthcoming article). For the more mature student, the science curriculum should include studying the behaviour of electricity in gases. Everyone is familiar with lightning. Most have seen fluorescent and neon lights. And the writhing “life-like” filaments in the novelty ‘plasma ball’ are a favorite with kids. But familiarity with lightning and neon lights does not equate with understanding. Lightning and the plasma behavior inside those glass tubes and balls are a mystery to almost everyone. Yet the environment inside those objects most closely equates to that of the rest of the universe. My thanks to Bob Johnson and Gerald Pecksen for their help in London and their valuable views about an Electric Revolution.